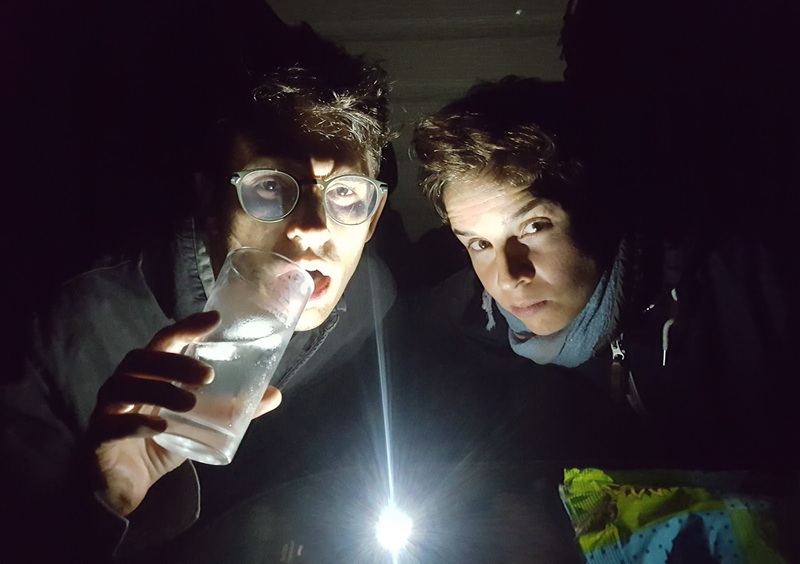 O álbum em duo de Susana Santos Silva e Torbjörn Zetterberg “Almost Tomorrow”, editado pela Clean Feed em 2013 foi o começo de uma intensa colaboração entre a trompetista portuguesa e o contrabaixista sueco. Desde então, o album “Impermanence”, editado pelo Carimbo Porta-Jazz em 2015 e Life and Other Transient Storms, editado pela Clean Feed em 2016, ambos projectos da trompetista, contam com a presença de Zetterberg, assim como Torbjörn Zetterberg och den Stora Frågan, o sexteto liderado pelo contrabaixista, com dois albums editados pela editora sueca Moserobie Records, integra na sua formação o trompete da portuense. Juntos gravaram, ainda, “If Nothing Else” (Clean Feed 2015), um projecto com o organista sueco Hampus Lindwall. E estes são apenas os projectos editados que sobressaem de entre muitas outras colaborações, concertos e residências artísticas. De uma música mais aberta e livremente improvisada o duo tem vindo a explorar uma música mais espiritual, se assim a podemos definir, com base em composições originais. 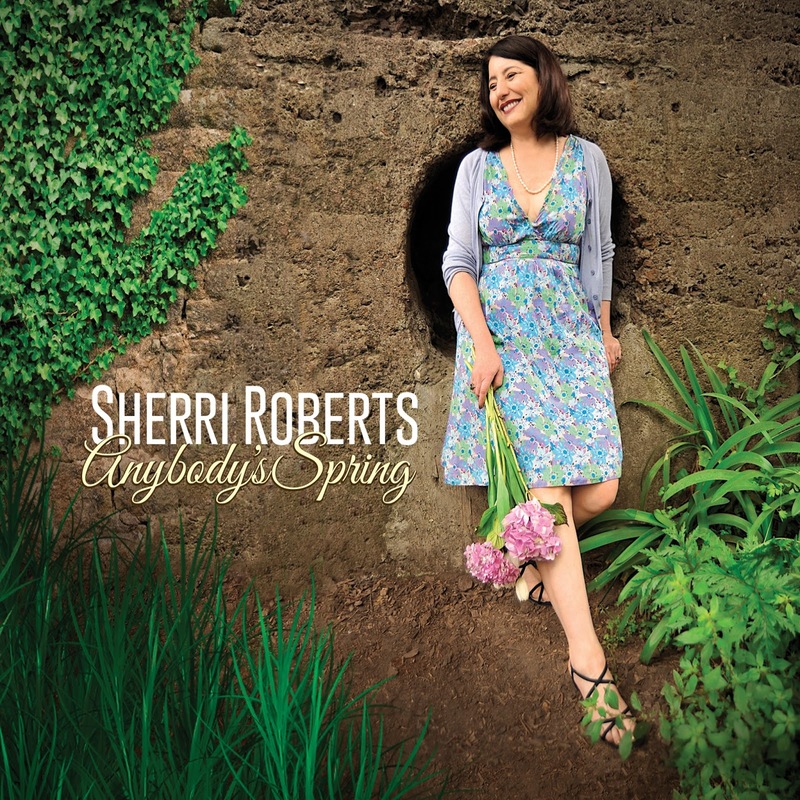 Vocalist Sherri Roberts pays homage to Springtime, a celebration of everyone’s favorite season. 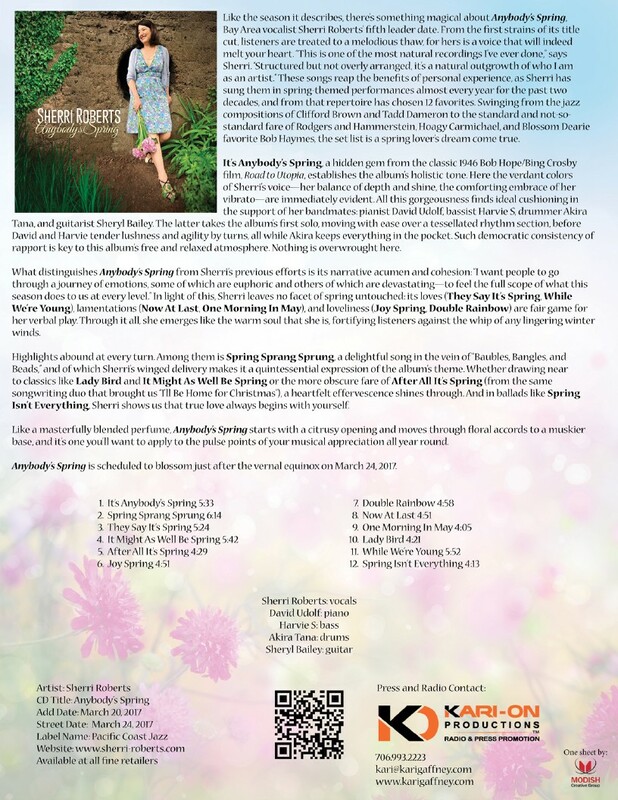 For over twenty years, Sherri has performed a tribute to Spring during that most verdant time of year, featuring an intriguing set list of tunes that swings from the familiar to the obscure. 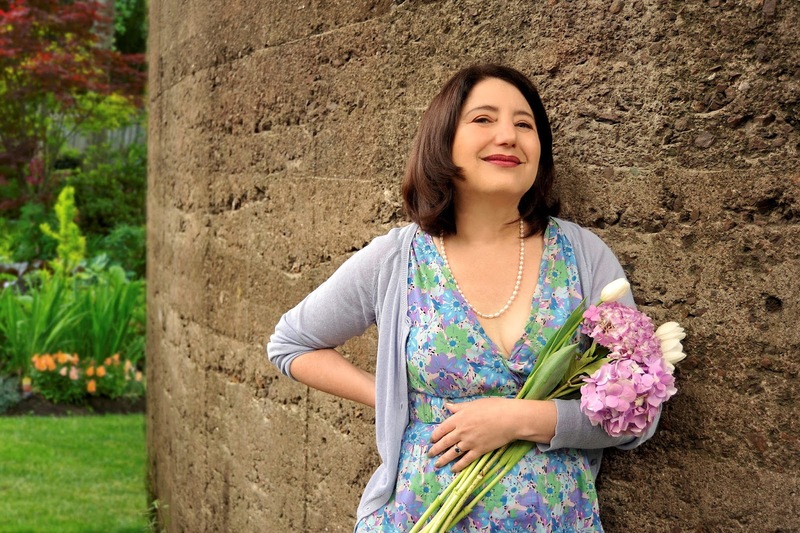 Vocalist Sherri Roberts tries to get our minds off the present snow and prepare us for the freshness of spring on her most recent album of that features songs of the primavera. Her warm and relaxed voice fits well into the lazy swinging groove of “It’s Anybody’s Spring” with rich soloing by Bailey, while piano and bass chime to a flowing waltz as Roberts glistens on “Spring Sprang Sprung” Guitar and bass sound like droplets of dew as Roberts eases into “They Say It’s Spring,” while a hip bass intro leads the way for her breathy voice into for a bopping “Joy Spring.” Tana is crisp as Romaine lettuce while setting the opening for Roberts to glide into a nimble “Lady Bird” whereas the more reflective part of the season is saved for last on a soft duet with Udolf during a late night and early morning low clouds read of “Spring Isn’t Everything.” An excellent weather report! The texture of her register and the enchanting way she sings a lyric, emphasizing the underlying emotions and creating an intimate atmosphere. 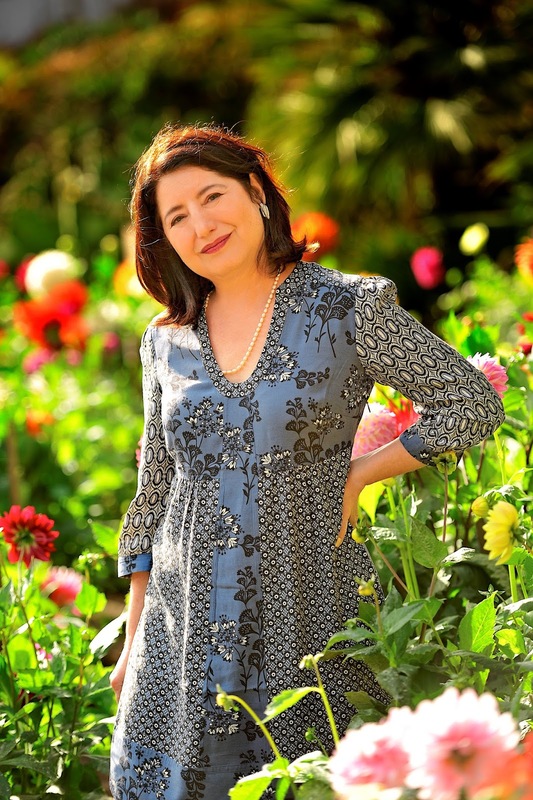 Specks of bop jazz are also present, as she is joined by pianist David Udolf, bassist Harvie S, drummer Akira Tana, and guitarist Sheryl Bailey. Continuously sensitive to the sentiment being channeled through the lyrics, Roberts makes a striking conduit, affecting audiences with an indelible delivery. Sherri has the ultimate voice for the kind of jazz she’s doing on this fine release of a dozen songs… just listen to the laid-back atmosphere she creates on “Joy Spring“… with energetic contributions from Harvie S on bass, piano from David Udolf, drums from Akira Tana and guitar by Sheryl Bailey – this is the best jazz vocal set I’ve listened to (yet) in 2017! 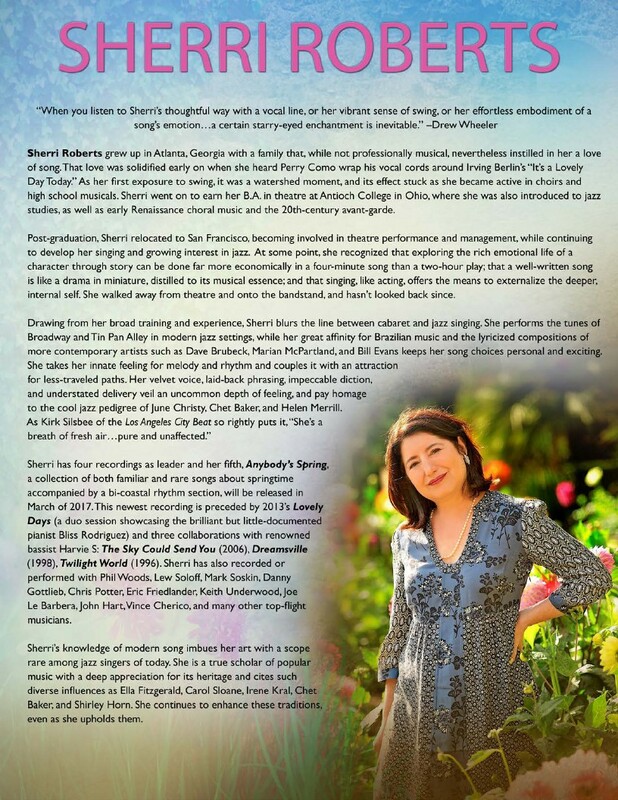 When you listen to Sherri’s thoughtful way with a vocal line, or her vibrant sense of swing, or her effortless embodiment of a song’s emotion…a certain starry-eyed enchantment is inevitable. 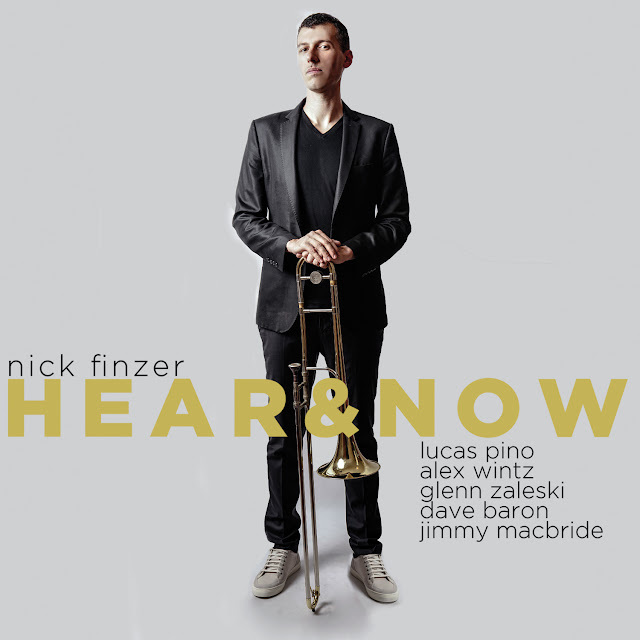 Trombonist/composer Nick Finzer captures the uneasy mood of a turbulent time on his third album, Hear & Now. Though the title - which the album shares with the gifted and expressive sextet that Finzer has led since his debut release in 2013 - suggests an alertness to the present time and place, Finzer's music also evokes a need and hope for change, a defiant optimism that pits love against the forces of oppression. Hear & Now, due out February 17 on Outside in Music, arrives at a moment of deep uncertainty and divisiveness in the country and around the world. The album's nine tracks (eight originals along with a Duke Ellington classic) depict a range of viable reactions, from the intense energy of protest to a more meditative, reflective mood. Finzer's compositions are brought to vigorous, full-bodied life by Hear & Now, a sextet with the power and wide-ranging palette of a big band but the supple energy of a small ensemble. It's the trombonist's third outing with the band, which includes tenor saxophonist/bass clarinetist Lucas Pino, guitarist Alex Wintz, pianist Glenn Zaleski, bassist Dave Baron, and drummer Jimmy Macbride. "I wanted to capture feelings I was having about our country's social framework," Finzer says. "I started out trying to write about the emotional feeling of living in New York in 2016, but as the presidential election went on I realized that the stances I was taking were more politically oriented. Throughout the process of making the record I saw that this project was becoming more and more relevant to our reality." Finzer doesn't name names or point fingers; nothing on Hear & Now takes a side or aligns with one party against another. It is instead a plea for a more united populace, a sonic argument for equality, tolerance and empathy. The album begins with "We The People," a reminder that togetherness is embodied in the country's founding documents. "I wasn't thinking of a particular person or a particular side," Finzer says. "I was trying to capture the intense energy of a large group of people trying to express their opinions and how important that is. When you get together with a lot of people and coalesce to fight against something, it creates this strong, base human emotion, so I was trying to capture that energy with the music." The brooding, introspective "The Silent One" follows. The piece was inspired by Finzer's frustrations over a tendency to resort to heated emotions rather than logic and subtlety in reacting to issues and problems. The music deftly illustrates the feelings of frustration and isolation one can feel in the face of the mounting volume of TV pundits and internet trolls. Directly related is "Again and Again," whose cyclical rhythms depict the history that we're doomed to repeat. And repeat. The frenetic, harried pace of "Race to the Bottom," Finzer explains, is a reaction to "the inevitable conclusion of cutthroat capitalism. You either need to be the cheapest or the best because people don't really pay attention to the middle. So you're either in a race to the bottom or you're trying to create something meaningful. To me it's about the value of creating something unique and special because there's no way you're going to win that other battle." The mood of the album begins to rise with "New Beginnings," with its feelings of dawning hope and tenuous optimism. "Lullaby for an Old Friend," written for a friend of Finzer's who passed away, laces its melancholy with the bittersweet good cheer that time and distance allows, mingling happy memories with the inevitable sense of loss. The up-tempo "Dance of Persistence" is a swinging call to action, but also offers a relief from tension. "That one is about not giving up," he explains, "but also goes back to the thing that I love most, the thing that got me into playing jazz... when I need something to settle me I just want to play something swinging; it just makes me feel better." The album closes with the tender "Love Wins," which Finzer wrote on the day that the Supreme Court ruled in favor of marriage equality. More broadly it's a strong tenet of belief that ultimately the forces of love will overcome ignorance, oppression and prejudice. The album's one non-original is Duke Ellington's "Single Petal of a Rose," which Finzer arranged for three trombones and two bass clarinets. He chose the piece for its sense of hushed and intimate joy, but also to pay homage to one of his key influences. "Duke Ellington was the first artist that I started checking out when I began listening to and learning to play jazz," he says. "I loved the way his compositional style could embrace a theme, particular stories or ideas or characters. I also always thought it was really interesting how Ellington could use the big band and get so many interesting sounds out of it." Finzer takes a similar approach to his own sextet, for this recording working closely with producer Ryan Truesdell, leader of the renowned Gil Evans Project and Producer for Maria Schneider - giving him some profound insights into inventive arranging. "Asking Ryan to co-produce the album ended up being probably the best decision in the process of making my records," Finzer says. "He was able to bring out extra nuances and had a great ear for making sure that we didn't miss the chance to create a magical musical moment." 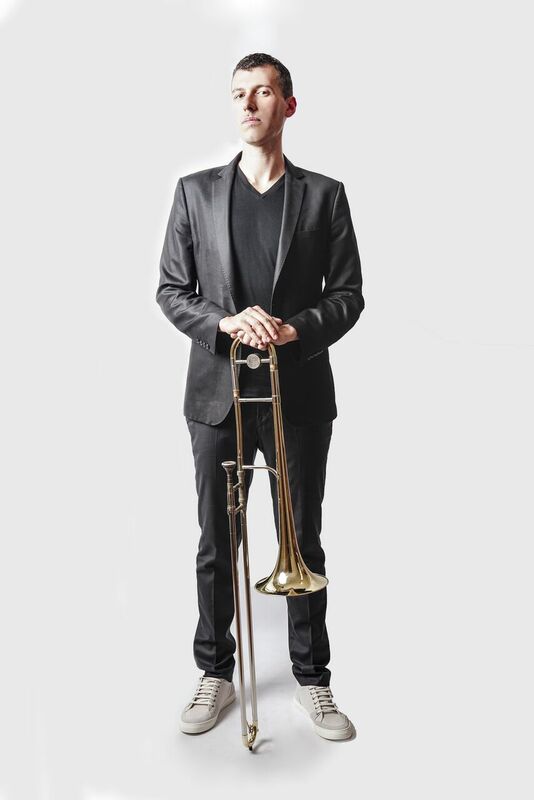 A native of Rochester, New York, Finzer studied at the Eastman School of Music and Juilliard, where he was mentored by trombone legend Steve Turre. In 2011 he won the Eastern Trombone Workshop's National Jazz Trombone Competition and won an ASCAP Young Jazz Composer's Award in 2013 & 2015. He's released two previous albums with his Hear & Now sextet: Exposition (2013) and The Chase (2015). Aside from his own projects he's performed with the YouTube sensation, Scott Bradlee's Postmodern Jukebox, as well as Wynton Marsalis' Jazz at Lincoln Center Orchestra, Lucas Pino's No Net Nonet, Ryan Truesdell's Gil Evans Project, and Anat Cohen's new Tentet. 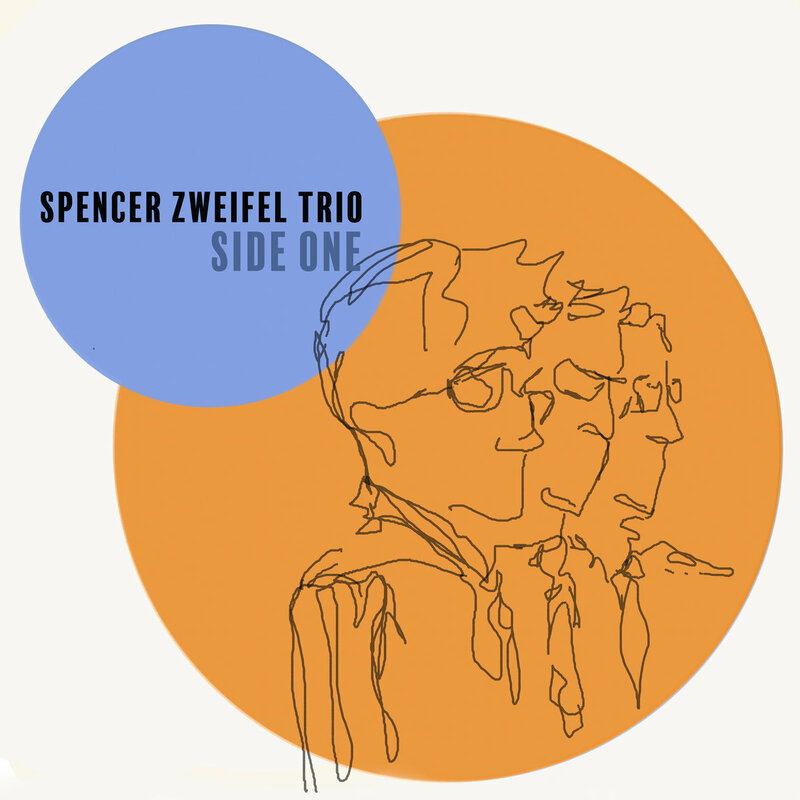 The first EP by the Spencer Zweifel Trio combines original compositions with arrangements of some lesser known tunes. 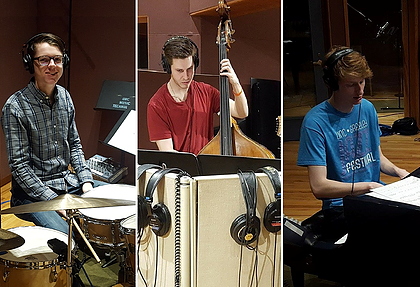 The trio is made up of players from UNC Greeley's award winning jazz program and their second EP "Side Two" is currently in the works. Spencer Zweifel began playing piano at a young age, and started to really pursue it after being inspired by his musical family. Growing up in Fort Collins, CO, Spencer had the opportunity to become part of the area music scene early in life. Learning from and being inspired by great area players like Mark Sloniker and Ben Markley, Spencer formed his first jazz quartet at age 16, which played frequently in the Fort Collins area. Since then he has performed with The Colorado Swing Big Band, The Ace Gillett's Subterraneans, The Bryce Merritt band, and extensively as a jazz pianist along the northern Colorado front range from Denver to Fort Collins. 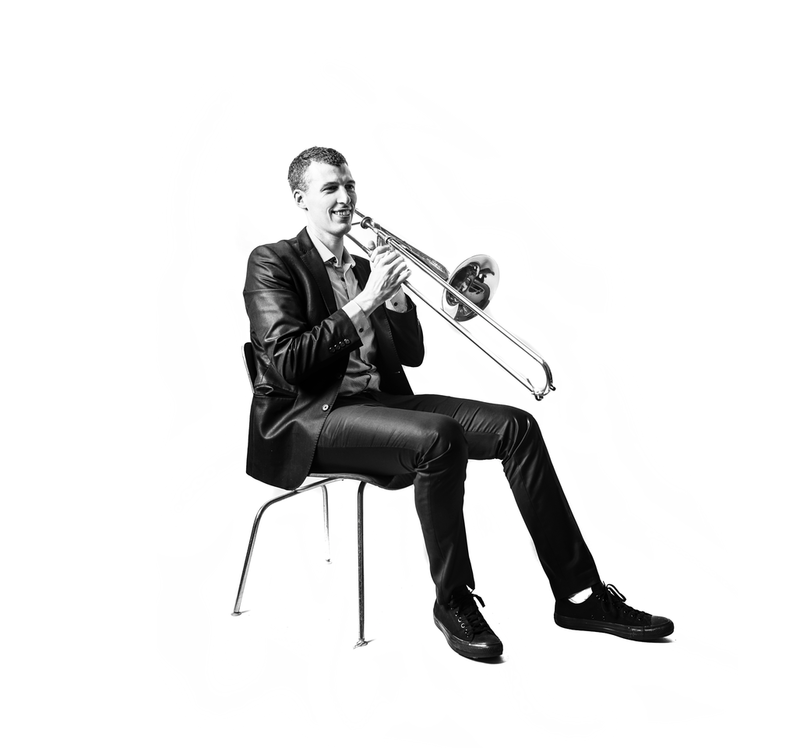 Spencer is currently pursuing a degree in jazz studies at the University of Northern Colorado. At UNC, Spencer is thankful to be part of an award-winning jazz program that pushes him further every day. Studying with Dana Landry, Spencer is a jazz composer, arranger and performer, and can be heard every Wednesday night at Ace Gillett's in Fort Collins.